Configurable data recording rate as fast as 10 samples per second. 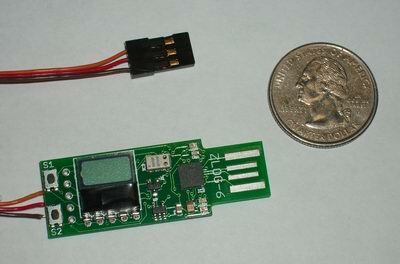 USB Interface for configuration and data download, plot, and analysis. No cable needed. Plug directly into a USB slot. Exports data in Excel .csv format or as GIF, bitmap or JPEG images. Accepts wide range of input power: 3.5 - 16 volts. 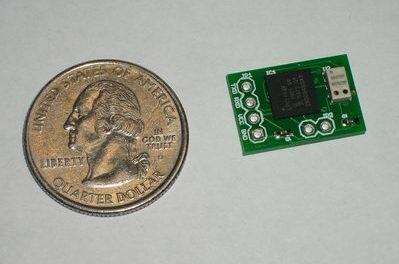 Power from your aircraft receiver. 1.85" x 0.65" x 0.24" (47 mm x 16.5 mm x 6 mm). Display altitude in feet or meters. Firmware upgradeable (using USB cable sold separately). 1.25" x 0.65" x 0.18" (31.8 mm x 16.5 mm x 4.6 mm). 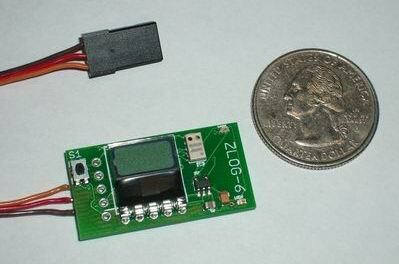 Z6M - Temperature / Pressure / Altitude Module for custom applications. Modular unit for interfacing with your own custom project. 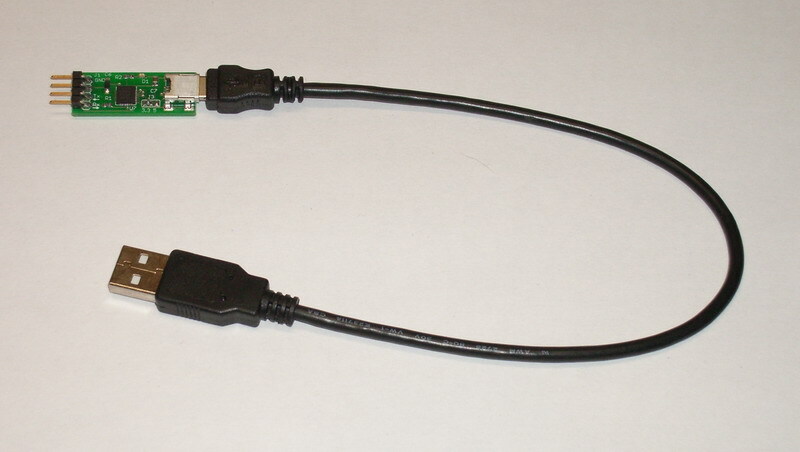 TTL Serial Interface for configuration and data I/O. Accepts wide range of input power: 1.8 - 3.6 volts. Measure altitude from -5000 to 100,000 feet (-1635 to 32808 meters). Resolution 1 ft / 1 meter. Measure pressure from 10 to 1200 millibar. Measure temperature from -40 to +85 C.
0.75" x 0.5" x 0.14" (19 mm x 12.7 mm x 3.6 mm). ZLog is designed and assembled in the USA from parts both foreign and domestic.